Before you apply for a home loan, regardless of your credit, it's a smart idea to obtain a copy of your credit report from the three major credit bureaus and review the information. If there are errors or things that need to be addressed, it's easier to address them before you have found a house, than after you have found a house and are trying to close your loan. If you know that there are a few blemishes on your credit, let your lender know what they are, why they are there, and why you are a still good credit risk. Lenders look at your credit to determine how likely you will pay back the loan. If you had extenuating circumstances - like a loss of a job or medical bills - let them know so that they understand that it is not likely to happen again in the future. 2. Get approved before you buy. An approval means that a lender has reviewed your credit history, verified your assets and employment, and has approved your loan before you have found a home to purchase. As long as the home appraises for at least the purchase price, the loan should close. Getting approved also gives you an advantage over other buyers. Your firm approval makes it easier for you to negotiate on the price of a home, than a person who is not approved or is pre-qualified. While getting pre-qualified may sound official, it is really just getting an idea of what you can afford. Its having a person plug in a few numbers that you give them - your monthly income and your monthly debt - and getting an approximate payment calculated. From the payment, the calculator can approximate the house price range that you can afford. No information is verified. Because your assets, income or credit is not verified, a pre-qualification has little value when purchasing a home. 3. Find a great buyer's agent. 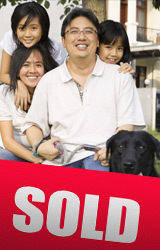 Traditionally real estate agents represent the sellers in a transaction. When you are not working with a buyer's agent, they are less likely to negotiate the best price or contingencies for you. A buyer's agent's job and fiduciary responsibility (meaning legal duty) is to you, the buyer. Before working with an agent, establish if they are a buyer's agent or a seller's agent. After spending a lot of time with a Realtor, it's natural to feel like you're a team. But if they are not negotiating for you, then they are not on your team. For the remaining 3 steps, simply download the full report and they will be emailed to you immediately! What would be your favorite 'bonus' feature? 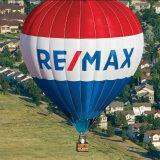 ©2007-2019 RE/MAX Gold Realty Inc.